With the onset of warm weather, a whole world of activities opens up: spring sports, hiking, road trips to fun locations, and more. Make sure that your car is prepared for the season and ready to take you to where the fun is. Clean the Winter Clutter: When it’s cold outside, it’s harder to make that extra trip out to your car to clean it out. Now that it’s warmer, clear out any receipts, wrappers, or other clutter that has accumulated. If you’re constantly taking paperwork to and from work, keep it organized with a Front Seat Organizer. 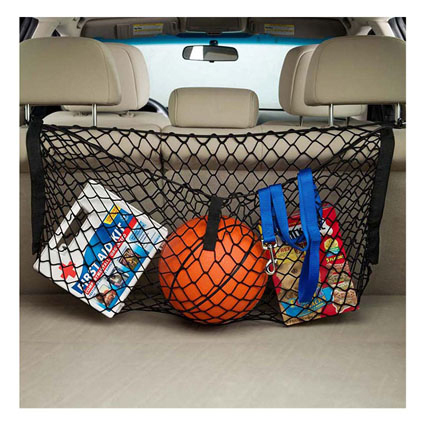 Reorganize Your Trunk: Make sure that you have room for your sports equipment, picnic supplies, and groceries with smart organizers like the Cargo Net. Revamp Your Emergency Kit: Warmer weather leads to different needs on the road. You can swap out the heavy blankets in your emergency kit for lighter ones, and remove any snow chains, snow melt, or sandbags you’ve kept there all winter long. It’s also a good time to make sure you have basic repair tools, electrical fuses, and up-to-date emergency food and water supplies. Do Some Detailing Work: With spring in the air, it’s a great time to freshen up your car. Vacuum your seats and carpets, wipe the dust from your dash, and clean the inside of your windows. Your commute will be much more pleasant in a car that is clean and fresh. Previous PostPrevious Why Bother Planning?